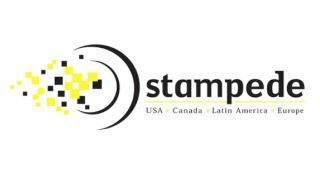 Kicking off the international leg of its 2017 Big Book of AV Tour & Conference Series, Stampede has announced that the daylong business-building event will make its next stop in Vancouver, Canada on March 23, 2017 at the Westin Wall Centre, Vancouver Airport from 10:00 a.m. to 2:00 p.m. Registration for the event is now open here. The Vancouver event will begin with a dealer panel, followed by a Tech Showcase Exhibit. Presentations will commence mid-morning, covering a variety of topics including: “NEC 10 Steps to a Successful Video Wall” by Mark Weniger, account manager, channel sales, NEC; “Overview of the Drone/UAS Industry and Business Potential” by Paul Dragos, Drone Video Systems; “WePresent Presents: Cut the Cords: BYOD and Wireless Presentation from Any Device” by Ed Pham, regional sales manager, WePresent; “Drone Video Systems: A New AV Category for a New Age of Opportunities” by Rob Luther, Drone Video Systems; and finally, “FIREFX - Basics of Securing IoT Networks for the Home and Business” presented by Mike Berman, SVP of business development, FIREFX. Showcasing the latest in the Pro AV market such as digital signage, audio, projection, and signal distribution, the daylong conference provides attendees with technology updates, exclusive insights, and keynote sessions from leading names in the industry, as well as training forums for total business needs. Current participating tour exhibitors include AEE, Atlona, AVTEQ, Casio, Chief, Christie, DJI, DisplayTen, Epson, Hitachi, HuddleCamHD, JELCO, Ken-A-Vision, LG, Luidia, Lumens, Luxul, Mustang, NEC, Oklahoma Sound, Optoma, Peerless-AV, Philips, Planar, Premier Mounts, Ricoh, Samsung, Sharp, Stewart Filmscreen, TAP it, TSI Touch, Unmanned Vehicle University, Vidyo, WePresent WiPG, WilsonPro, and xFOLD. Every attendee of the 2017 Big Book of AV Tour & Conference Series will receive a $500 Stampede Credit, $50 Visa Gift Card, and be entered into a drawing for the chance to win one of two AEE drones.